Randall Davidson was Archbishop of Canterbury for quarter of a century. Davidson was a product of the Victorian ecclesiastical and social establishment, whose advance through the Church was dependent on the patronage of Queen Victoria, but he became Archbishop at a time of huge social and political change. He guided the Church of England through the turbulence of the Edwardian period, when it faced considerable challenges to its status as the established Church, as well as helping shape its response to the horrors of the First World War. Davidson inherited a Church of England that was sharply divided on a range of issues, and he devoted his career as Archbishop to securing its unity, whilst ensuring that its voice continued to be heard both nationally and internationally. A modest and pragmatic man, he was widely respected both within the Church of England and beyond, helping to find solutions to a range of political and ecclesiastical problems. 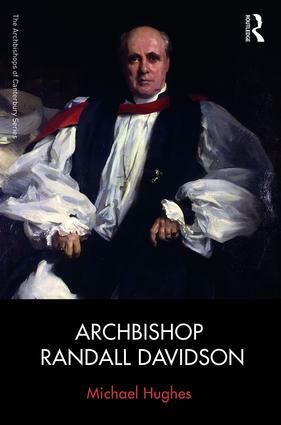 This book explores Davidson’s role within the Church and in the life of Britain more broadly during his time at Canterbury. It includes a large selection of documents that help to reveal the Archbishop’s character and cast light on the way in which he carried out his varied and demanding duties. "This book will be a useful resource for anyone seeking to explore more deeply the under-currents of the ecclesiastical and political world of Edwardian and neo-Georgian England, and its author is to be congratulated for having produced it." "Hughes, professor of history and head of the department at Lancaster University, must be com­mended for so adroitly bringing to life this generally unsung ser­vant of God, church, and nation." Michael Hughes is Professor of History and Head of Department at Lancaster University. He has published a book and numerous articles on Nonconformity in the twentieth century, as well as writing extensively on Anglo-Russian relations, with a particular emphasis on relations between Anglicanism and Orthodoxy (a subject with which Randall Davidson was particularly concerned). He was for many years a Lay Reader in the Anglican Church and has published five monographs and more than thirty articles in scholarly journals.